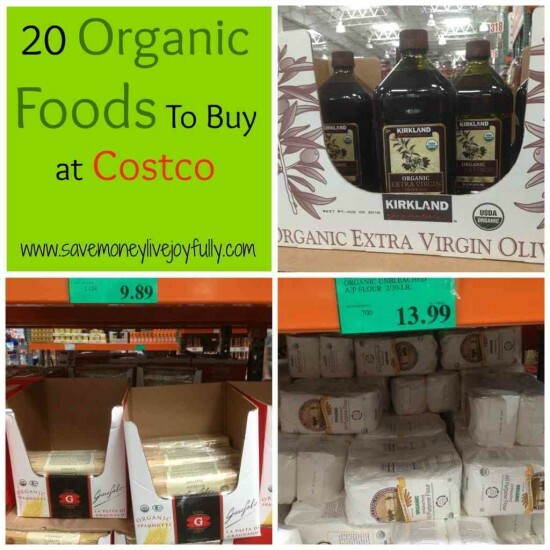 Head over and see this list of 20 Organic Foods You Should Buy at Costco from Save Money, Live Joyfully. I agree with just about every single item on this list, but quite a few like flour and canned beans our Costco doesn’t carry. If you like to shop Costco, be sure to checkout all the great Costco Meal Plans that will help you save lots of money.